Kylie's work focuses on the intersection between people, technology and society as a cultural geographer/ethnographer. She is Senior Research Fellow (Urban Living & Society) at Western Sydney University researching the creative city phenomenon. In this context, Kylie's work explores the ways in which creative producers, cultural audiences, and social media contribute to the development of such spaces and places. She is a member of the Institute for Culture & Society at Western Sydney University, and serves on the Advisory Board of the Australasian Consortium of Humanities Research Centres. 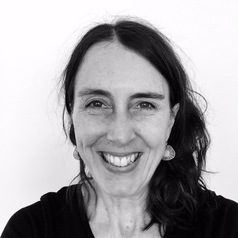 Kylie holds a PhD from the University of Melbourne and previously worked in the galleries, libraries, archives and museum (GLAM) sector.